The familiar "Voice Actors' Live Stage" will be held this year as usual. The legendary voice actors who keep challenging the possibilities of voice-over will gather on stage. SHITA COME 2015 will dive into the attractive and wonderful voice-over world. Enjoy "Introduction to the Fun World of Voice Actor" by Michio Hazama as well. Performers:　Michio Hazama, Masako Nozawa etc. Legendary voice actors will talk about their episode of how they started out and about the attractive and wonderful world of voice acting. Keaton as a projectionist has a dream of becoming a private detective. 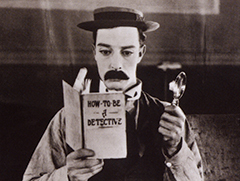 Other than projecting films, he brooms and cleans up the theater but also reads a book "How To Be A Detective." As he falls asleep during the screening, his "double" enters into the world of the movie. 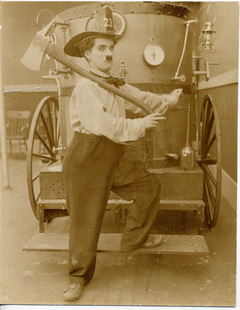 Charlie is a fireman who always does everything wrong. A man talks the Fire Chief into ignoring his burning home (he wants the insurance money) unaware that his daughter Edna is upstairs in the house. Charlie struggle to save her.